Here’s another great giveaway modern from the Grand Ole Opry, it’s not your grandmother’s Opry anymore. 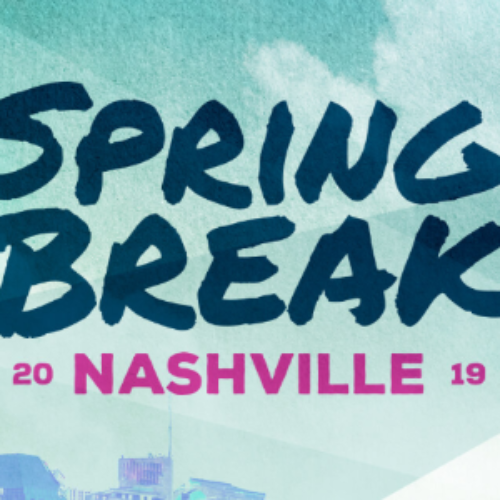 While it’s called the Spring Break Sweepstakes, it’s just referring to the timing of the vacation, you don’t need to be in school to win or enjoy it. While you may think Spring Break is a uniquely American tradition, it’s actually observed worldwide and potentially has roots that date back as far as Roman Times, when the arrival of Spring was celebrated. Here in the United States the tradition is generally considered to have started in the late 1930’s when a swimming coach took his team to Ft. Lauderdale to train at a pool. Some savvy marketers working for the city took note of the event and pushed to encourage more students to make the trip. I bet you never thought about your grandma, or maybe even great grandma, getting her party on in the days of yore. And likely that’s not something you ever needed a mental picture of. I grew up on the coast of Southwest Florida so for the most part, the Spring Break festivities came to me. Truth be told I was part of what might have been considered the ‘nerd herd’ and I never really hit the beaches to celebrate as, I am rather shy, and, adverse to large crowds. Thanks to it’s depiction on TV and movies, Spring Break in America has never been bigger than it is now, with thousands of teens and college students flocking not just to the beaches of America but also popular vacation destinations like Cabo, Cancun and the Caribbean. That’s what makes this contest interesting, instead of taking the tradition trip to the shores, it’s offering a chance to head to Nashville. I think that’s a great alternative and the trip appears to include a ton of fun activities in Music City. If you need a break, be it from school, work or just life in general, this is the giveaway for you. Here’s wishing all of you awesome subscribers the best of luck to be the winner. Let me know in the comments below what your favorite memory of Spring Break is! Can’t wait to walk the streets of Nashville. Visit all the Honey-Tonks. Go to Ernest Tubb record shop. Visit all the place’s I see on T.V. I have relatives in Columbia, so this trip would be great. I also have friends that just got back from Nashville and stayed at the Gaylord—–can hardly wait to see it for myself.